Can you believe that it's been 6 years since we first launched The Hacker News? 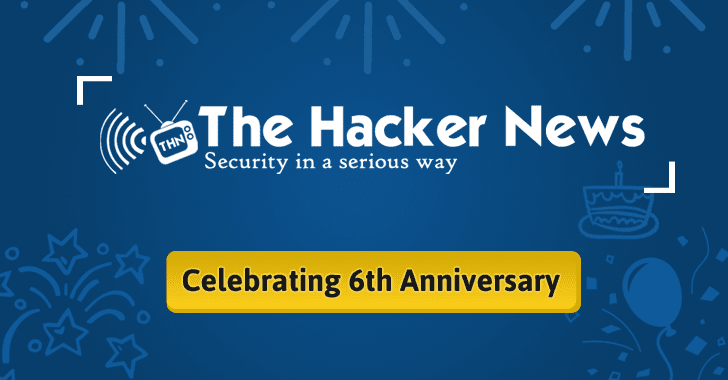 Yes, The Hacker News is celebrating its sixth anniversary today on 1st November. We started this site on this same day back in 2010 with the purpose of providing a dedicated platform to deliver latest infosec news and threat updates for Hackers, Security researchers, technologists, and nerds. The Hacker News has become one of the World's popular and trusted Hacking News channel that went from ~100,000 readers to more than 10 million monthly readers — all because of THN readers high enthusiasm. And around 307,000 Twitter Followers. What's more? The Twitter Account of The Hacker News became officially verified (yes, that blue tick) by Twitter. We don't cover everything, never did, never could, we just cover the things that are important to our readers and impact a large audience. That's the actual difference between The Hacker News and a full-fledged News Outlet. Most importantly, The Hacker News thanks all of its readers for the support and trust, as it continues to grow and serve this community. Regardless of how frequent you visit our site, whether you are a regular reader who reads every since article or just occasionally comes, whether you support our site by sharing articles, or being a silent reader, THN would not be there and probably have never achieved these milestones, if you were not there. In the special occasion of this year's Anniversary, The Hacker News also launched THN Deals Store last week, which is packed with great deals on everything from Online Cyber Security and Hacking Courses to gear and gadgets, downloadable Security Products, privacy services, IT Certification Preparation Courses, programming courses and even drones. 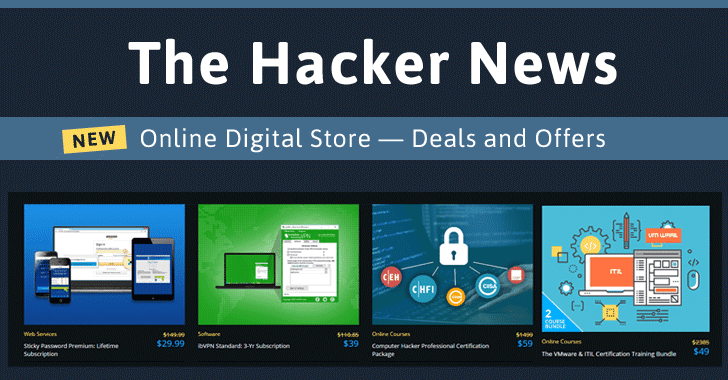 So, if you are searching for a great deal for anything you need, The Hacker News welcomes you to THN Deals Store where you can get incredible discounts on anything you need. Deal 1 — You can save 96% on a Computer Hacker Professional Certification Package, which offers you the content of over 60 hours to help pass any of five professional hacker certifications, including CEH, CISSP, CHFI, CISM and CISA. Deal 2 — Another such great deal is Lifetime subscription for Windscribe VPN. You can now protect your online privacy, unblock unwanted websites, hide your identity, and access geo-blocked content from anywhere. THN Deals offers our readers 1-year Pro subscription of Windscribe VPN at 82% discount and Windscribe VPN Lifetime Pro Subscription at a massive 94% discount. We at THN are working on a new platform that will completely transform the way we report and deliver Hacking and Cyber Security updates today. As things are changing so quickly on the Internet, THN's new platform will provide not only hacking and cyber security updates but also technology news, and knowledgeable content to our readers. This is just the beginning, as there are many, many more exciting years ahead!